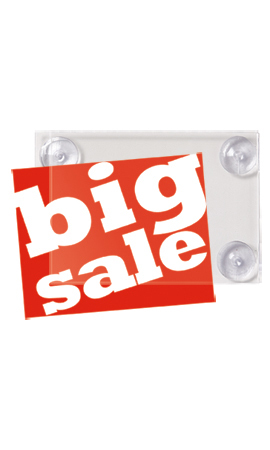 The Window Sign Holders with Suction Cups 5 1/2" x 8 1/2" is great for adding signage to your windows and throughout your store. These can be used with any rectangle 7" x 5 1/2" sign. This sign holder is made of acrylic and suction cups are included.